The General Bathymetric Chart of the Oceans (GEBCO) community aims to provide the most authoritative publicly available bathymetric data sets for the world's oceans. Download a copy of the IHO-IOC GEBCO Cook Book (14.3 MB). The Cook Book is maintained and made available by the Chairperson of the GEBCO Cook Book Working Group, Dr Karen Marks, at the US National Oceanic and Atmospheric Administration (NOAA) Laboratory for Satellite Altimetry. 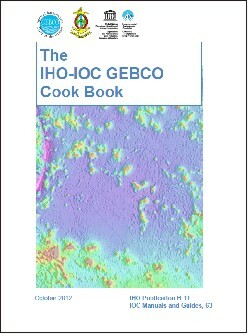 The IHO-IOC GEBCO Cook Book (2012). IHO publication B-11, IOC Manuals and Guides 63, 221pp. On behalf of the project, GEBCO’s bathymetric grids are maintained and made available by the British Oceanographic Data Centre (BODC). 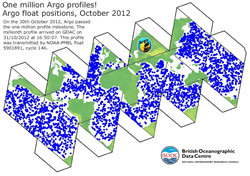 Argo, an international project initiated in 2000, aimed to establish a global network of profiling floats. It achieved its first goal of 3000 operating floats in October 2007 and on 30th October 2012 met another milestone — one million data profiles. The millionth profile arrived at the Global Data Assembly Centres (GDAC) on 31/10/2012 at 16:50:07. This profile was transmitted by NOAA-PMEL float 5901891, cycle 146. Each year around 800 floats need to be deployed to maintain the 3000-float array This array provides around 100,000 observations per year and floats operate throughout all the ice-free deep-ocean areas of the world. 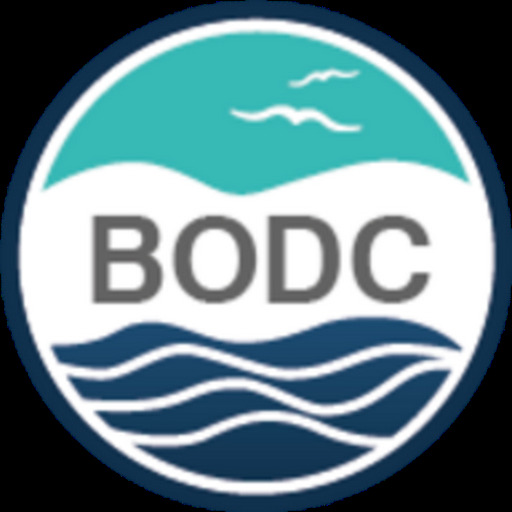 The British Oceanographic Data Centre (BODC) is a national-level data centre in the Argo data processing chain hosting floats from the UK, Ireland, Mauritius and Saudi Arabia. This represents approximately 4% of the array. We have updated the folding globe to celebrate the one million profiles — the updated version indicates the current status of the array. 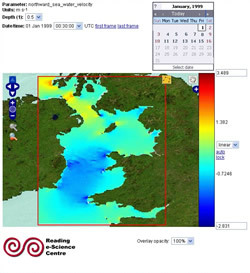 In line with our commitment to improve data access, the British Oceanographic Data Centre (BODC) announce the launch of our numerical model data portal. This provides searching, visualisation and data download mechanisms for numerical model data. Initially the portal is populated with output from the Coastal Flooding by Extreme Events (CoFEE) project. As the data from more models become available they will be added to this portal. Numerical models are mathematical simulations of environmental processes based on understandings gained from direct observations and/or theoretical analysis. They help scientists and managers to predict, understand and adapt to changes that may affect people and their environment. An easy to use, anonymous interactive search — search for data prior to registration or log in. Search options include geographic area, date, data parameter, model and simulation. A visualisation service — this includes animations, cross-section plots and more. This functionality requires user registration and log in. 'Online shopping' — add model data to a basket and check out your request. File generation — Climate and Forecast (CF) netCDF files are prepared by subsetting on user criteria using OPenDAP technology. For large volume requests or during busy periods data preparation may take a while. The file generator service emails the user when the data are ready for download. Request tracking and download service — 'my account' services allow users to track their request and return to download data at their convenience. Special thanks are due to Jon Blower at the Reading e-Science Centre (ReSC) who kindly gave us his permission to incorporate his visualistion software as part of our numerical model data portal. We are also grateful to the British Atmospheric Data Centre (BADC) for their advice on aspects of this development.